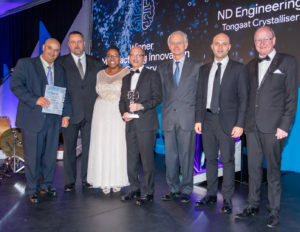 Showcasing a South African manufacturer’s ability to produce, assemble and deliver very sophisticated pieces of equipment with their 180m³ Vertical Crystalliser for Tongaat Mozambique. 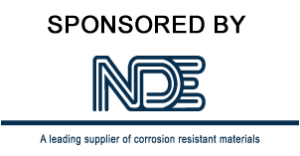 ND Engineering has also made a huge contribution to the project by taking the modular construction approach, to reduce manpower and project risk exposure on site. Following a complex and unique construction process, the vertical Crystalliser features internal heating coil banks, an external shell heating jacket with a multi bladed rotor; each with top, bottom and side wipers running between the internal serpentine heating coils and shell. 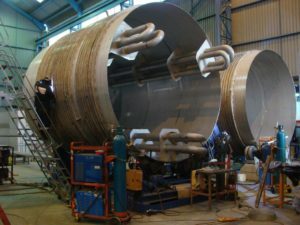 Meeting the extremely tight manufacturing schedules, the main components of the Crystalliser were manufactured in parallel workshop facilities and feature different materials and material combinations for the rotor, the shell and the outer jackets, resulting in the qualification of a number of welding procedures to reach ISO design standards for unique fabrication. This included accommodating unique material properties, regarding thermal distortion during welding, to achieve the extremely tight tolerances needed for the rotor’s wiper blades to move freely between the system. 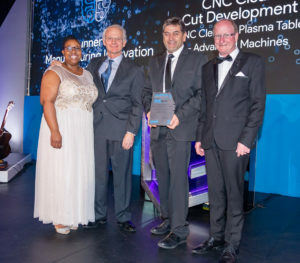 Delivering a first for Africa and representing the most significant advance in mechanised plasma cutting technology design process, CNC Clearcut Development have made their mark in the industry with the first designed, produced and now locally manufactured five axes plasma machines. This next generation system redefines what plasma can do by expanding its capabilities and opportunities in ways that were not possible before. 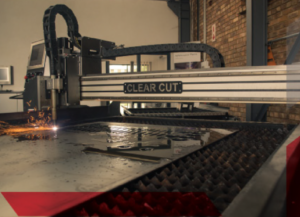 With unmatched X-Definition™ cut quality on mild steel, stainless steel and aluminium, it increases cut speed, dramatically improves productivity and slashes operating costs by over 50%. Meeting the local market with competitive pricing when compared to European product offerings, the Plasma Table Advanced can cut any conducive material such as stainless steel, copper and lead with minimal operator intervention. Building on Hypertherm’s industry-leading productivity technologies, XPR™ delivers faster cut speeds across superior stainless steel, higher quality cuts that reduce or eliminate secondary operations and increased consumable life with quicker set up time. With improved operating and troubleshooting information, sensors in the power supply deliver refined diagnostic codes and significantly enhanced system monitoring information. 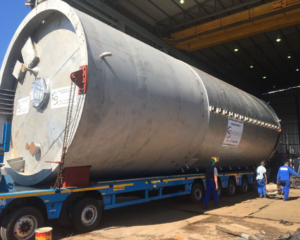 Exported across Africa, with good lead delivery times, it is assembled on site and training is provided to operating staff. 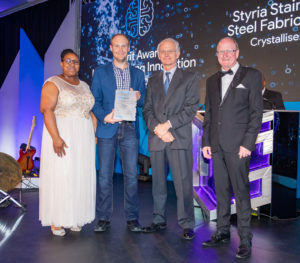 Multifaceted complexity adeptly manufactured and handled by Styria Stainless Steel has seen the fabrication, sealing, pressure testing and delivery of six Crystallisers weighing in at 22 tons in 304L stainless steel for their Sasolburg client. With each of the six units reaching 9m high, and 4m in diameter, spiral cooling coils were fitted to the dishes and the main body of the vessel, which were then sealed and pressure tested.